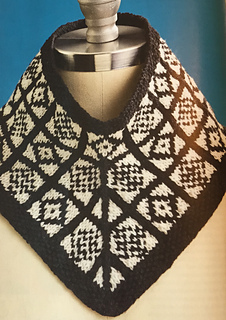 This pattern was a brief 2 pages in the Vogue Spring/Summer 2017 magazine. Photo on page 30, instructions begin on page 31. Do not work a CDD in Rnd 1 of chart, knit those 3 sts with black. Commence CDD’s as shown on following round.